Bharatiya Janata Party (BJP) lawmaker Meenakshi Lekhi on Friday alleged that women had entered the Lord Ayyappa shrine disguised as transgenders. 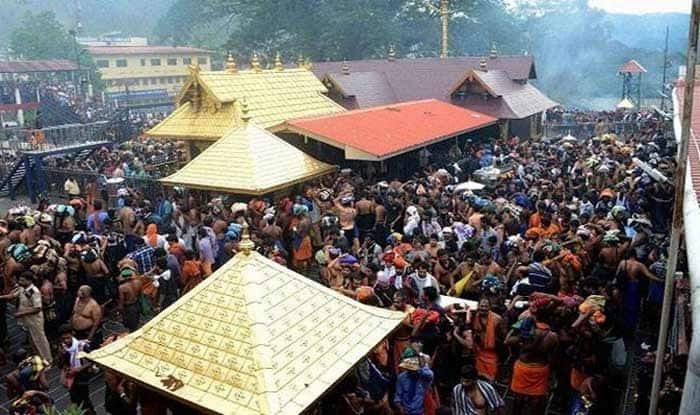 New Delhi: Following the uproar over two women entering the Sabarimala premises, the Travancore Devasom Board (TDB) have sought an explanation from Kantararu Rajeeveru, the temple tantri or the priest, as to why they conducted a “purification ritual” on Wednesday, said a TDB official. Meanwhile, Bharatiya Janata Party (BJP) lawmaker Meenakshi Lekhi on Friday alleged that women had entered the Lord Ayyappa shrine disguised as transgenders. Adding that people were transgressing in the name of women rights, Lekhi said the narrative was coming from the people, who “neither understand Hinduism nor do they know the practices of rituals”. The BJP leader alleged that a certain kind of narrative was being set in the country where men are made to feel small and anti-feminist about the issue. “One person has died because of stone-pelting. The state government is squarely responsible for their deaths. Guruswamy, one among four of those worshippers, had committed suicide. You are actually doing things to provoke (the) community. You are leading to a particular anarchical form,” she added. Kerala had witnessed unprecedented violence and mayhem on Thursday, a day after two women entered the hill shrine, infuriating right-wing outfits, with protesters blocking roads by placing burning tyres and granite blocks.